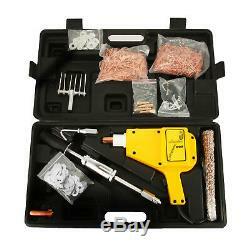 Dent Puller Stud Welder Dent Repair Kit For Car Body Panel 220 V+1000. Ideal for workshops, right down to your home repairer! 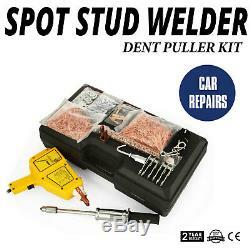 This Dent Puller Stud Welder Dent Repair Kit is a great entry level kit suitable for both beginners and experts. This kit features the most powerful welder in a starter kit. 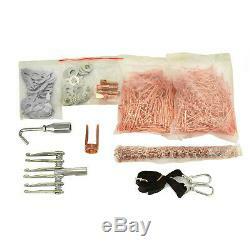 Use this kit as a base, a complete stud pulling system can be built and it is very easy in usage. Our kit includes the upgraded welder. 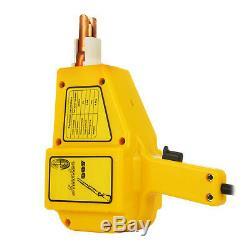 It is 220 volt and comes with a built in overload relay to protect the transformer from overheating. 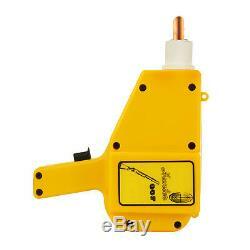 The trigger is mounted in the handle for easy operation. 500 nails 2.5 mm and 500 nails 2.0 mm include, they have been specially desinged for easy welding and easy removal after the pulling is completed. The shaftes are strong yet flexible. These are the preferred studs for use in welding. Improving efficiency and saving working hours is crucial to the auto maintenance industry, this kit is just the one who can meet these demands. Reducing labor intensity is the key to improve efficiency. With lightweight construction and compact design, this kit saves the operator substantial energy. 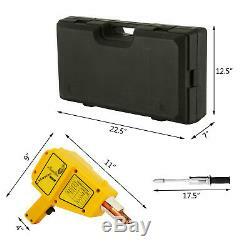 Saving power is a great advantage of this kit, its power usage is less than 10% of traditional spot welders. 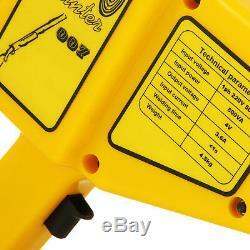 Mainly used for repairing deformations on vehicles by pulling sunken locations back to normal. With a simple press on the trigger, nails will be welded successfully. Then change to the pulling hammer. Hang the hammer to the hole on nail and youll be able to pull the vehicle metal back to normal. Easy to use and portable. Built in thermal overload protection. Designed with principles of human engineering. 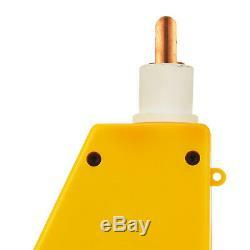 Input voltage: 230 V, 50/60 Hz, single phase. 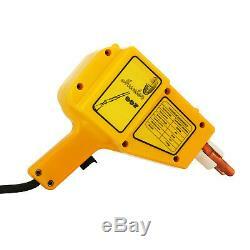 Welder gun weight: 4.5 kg (9.9 lbs). Package size: 65 x 40 x 25 cm(25.6 x 15.7 x 9.8 inches). Gross weight: 14 kg (30.9 lbs). 500 x Nails 2.5 mm (0.1 inches). 500 x Nails 2.0 mm (0.08 inches). 1 x Multi-functional Pulling Hammer. 1 x Nails Lock (Inner). 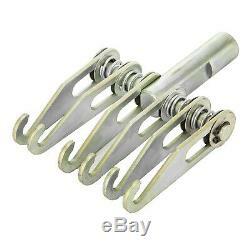 1 x Nails Lock (Outer). 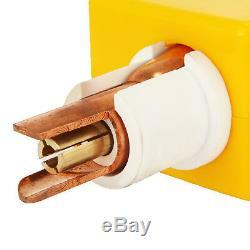 1 x Straight Pad Electrode. As a leading and emerging company in manufactory and exporting business, we are specialized in Business and Industrial Products, Sporting Goods, Pet Products, Home and Garden products for more than 10 years. We believe that it is our vision and mission to provide innovative products with best service and competitive price to satisfy you. Q: How do I return an item? Please contact our customer service before you return an item. The item "STUD WELDER WELDER DENT PULLER KIT FOR CAR BODY PANEL SPOTTER DENT REPAIR" is in sale since Saturday, November 4, 2017. 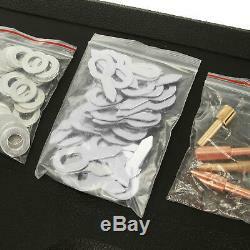 This item is in the category "Vehicle Parts & Accessories\Garage Equipment & Tools\Repair Tools & Kits\Dent Repair". The seller is "sundayforsale-5" and is located in Jenec.